Social Media marketing is about more than just setting up a Facebook page and Twitter profile, and agents who want to tap the online audience must understand the rules of engagement, according to advice from the experts. A recent article for tech insight and analysis site memeburn.com explained how it was imperative that property marketing professionals not only acquire social media tools, but also to learn how best to use them for interaction with the online audience. 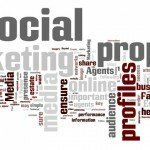 In a list of the top five social media marketing moves estate agents can make, writer Talita Calitz says that businesses must understand the unique way in which each site’s users engage in order to be able to capitalise on it. Facebook – Use the site to target engaging PPC advertising and carefully selected target audiences as well as for cementing online reputation with a professional looking and carefully managed page. 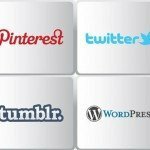 Pinterest – social media fans are flocking to this site and demand for accounts on the invite only is on the up. Pinterest is the perfect platform for visual media – a powerful part of the property marketing portfolio, allowing agents to share property photography, floorplans and interiors inspiration all in one place.